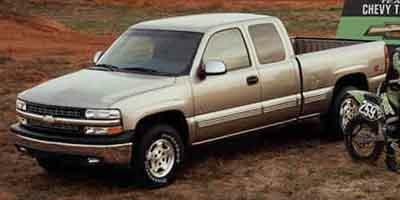 The 2002 Chevrolet Silverado 1500 is offered in Regular and Extended Cab body styles with a standard 200 horsepower 4.3-liter V6 and a 5-speed manual transmission as standard. For those with utility in mind, the Silverado 1500 is offered in a variety of wheelbase lengths, depending on your needs, as well as the option of two or four wheel drive, depending on the model. Safety features include driver and passenger-side airbags, ABS brakes, daytime running lights and traction control. Comfort and convenience features include cruise control and keyless entry.